45 minute treatment this wonderful treatment which will induce relaxation relaxing the head neck and shoulders. Ideal for people who want relief from mental tiredness and tension, and improved concentration and sleep. This Gift Voucher is for a 45 minute Indian Head Massage treatment and can be redeemed anytime within 3 months from the purchase date. 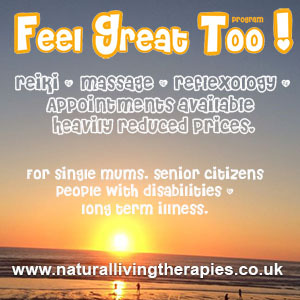 The treatment can be provided either via our mobile service (over 10 miles from St Austell mileage charges apply) or at my in-house treatment room in St Austell.